The late comedian Bernie Mac made his mark making millions laugh over more than two decades in stand-up, on TV and in films such as Friday, Bad Santa, Ocean’s 11 and its sequel. We know him as one of the “The Original Kings of Comedy.” You may not know that he suffered from chronic pain due to severely weakened lungs as a result of sarcoidosis. For twenty-five years, from the time he was diagnosed in 1983 until his death in 2008, Bernie never let the disease keep him from living a rich and full life. He dedicated himself to celebrating people and impacting patient quality of life. Today, the foundation that bears his name continues his legacy to build awareness about sarcoidosis and to create a community for those afflicted. April is National Sarcoidosis Awareness Month. The Bernie Mac Foundation, healthcare providers and patients around the country take this time of year to raise money to support research and create education-based opportunities for those living with sarcoidosis and their families. Sarcoidosis is characterized by growths that most commonly occur in the lungs, lymph nodes, eyes, and skin. While sarcoidosis often goes away on its own, for some it could last for years and lead to organ damage. These tiny growths of inflammatory cells can be painful, but treatment options exist especially for pain in the eyes. Sarcoidosis does dissipate most of the time with minimal treatment, but sometimes it persists. Based on where the sarcoidosis is affecting you, specialists such as a rheumatologist, pulmonologist, ophthalmologist, dermatologist, or your primary care doctor can all help. Steroids and immunosuppressive drugs are often used as treatment, but let’s explore some other options that can ease the pain of sarcoidosis. Symptoms may vary depending on which of your organs sarcoidosis is affecting. Pain is most commonly felt in the eyes. Fatigue and night sweats along with coughing, swollen lymph nodes, or weight loss are common. Your eyes may feel itchy, dry, or appear red. Shortness of breath, skin rashes, bumps, blurred vision, and sensitivity to light are also variations of symptoms. Doctors do not know the exact cause of sarcoidosis. They think some may have a genetic predisposition for the disease that is triggered by dust particles, bacteria, or other unknown airborne substances. If you have sarcoidosis, your immune system has overreacted to this substance, causing inflammation and scarring in some cases. The pattern of inflammation that develops is called a granuloma. If many are built up, they can affect the function of that particular organ; and, just like with other types of inflammation, this can be painful. Sarcoidosis most commonly occurs between the ages of 20 and 40 and women are more prone to it. African-Americans have a higher incidence rate and may be more severely affected (36 cases out of 100,000 people each year) compared to white Americans (11 out of 100,000). Genetics are also a factor. 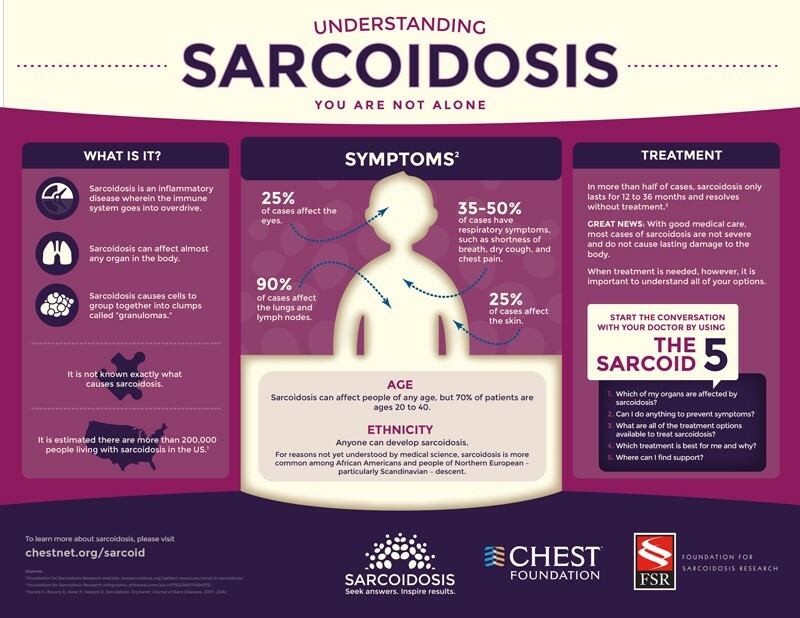 If someone in your family has developed sarcoidosis in the past or is currently battling it, you are more likely to develop it as well. The highest incident occurs in northern European countries. With each case of sarcoidosis, the lungs are involved 90% of the time according to the American Thoracic Society. Exposure to inorganic particles, insecticides, and moldy environments are associated with sarcoidosis. As with all kinds of pain and illnesses, sarcoidosis is no different when it comes to treating pain. The goal of treatment is to prevent scarring, reduce the granuloma size, improve organ function, and relieve symptoms. Even if you are not exhibiting symptoms, treatment can still be necessary if it is affecting your eyes, heart, lungs, or brain. Trial and error is key. If something is not working, consult with your doctor and try something new. There is hope for you and treatments are out there. This may not be your first go-to option because it is a non-traditional therapy, but acupuncture can actually be really helpful for many forms of chronic pain and even treating sarcoidosis. According to Dr. Dharmananda from the Institute for Traditional Medicine in Portland, Oregon, acupuncture for sarcoidosis is aimed at draining excess phlegm accumulation and can relieve symptoms of difficulty breathing. The feeling of muscle aches and pains caused by sarcoidosis can also be reduced with acupuncture. It does not just have to be centered on your lungs. Listen to my Aches and Gains episode titled Acupuncture Part I to learn more. This may be the most common form of treatment for sarcoidosis. If it has not worked for you, try the other two options I am suggesting. If you have not tried a steroid for your sarcoidosis, talk to your doctor about the potential of this therapy. Prednisone is the main steroid used for treatment. It reduces inflammation and relieves symptoms. However, long-term use of steroids can leave you with serious side effects. You can work with your doctor to assess the risks and perhaps remain on the lowest dose possible to combat your sarcoidosis. As with any chronic pain disorder, lifestyle changes are mandatory. No smoking or alcohol. Maintain a healthy diet and exercise. For sarcoidosis especially, it would be useful to incorporate some anti-inflammatory foods in your meals such as tomatoes, leafy greens, nuts, berries, and omega-3 fatty acid rich foods. 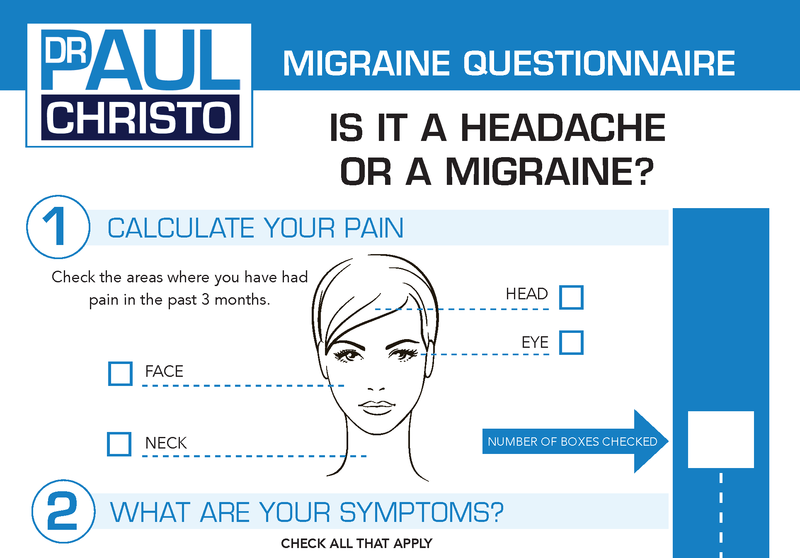 Check out one of my previous blogs on food as a pain reliever. While there are no solid studies on the effects of food and sarcoidosis, let your doctor know what supplements you are taking and keep track of your diet to see if there is a pattern between what you are eating and your overall health. To relieve some of the pain that comes from severe sarcoidosis, a nerve block may help. Nerve blocks are injections of medications around nerves that include local anesthetics, and steroids. Medications such as Pregabalin (Lyrica) and Gabapentin (Neurontin) may help if the pain is neuropathic (shooting, stabbing, burning). Sarcoidosis is a very serious disease if it goes untreated. While many people with sarcoidosis manage well without extensive treatment, chronic illnesses can create a lifelong impact on our bodies. To prevent flare-ups and scarring of your lungs, seek treatment for your sarcoidosis no matter the severity. Whether you try steroids, acupuncture, or other recommendations provided by your doctor, there is usually an option available to make you feel better.